Agnes Samuel is an American, beautiful, witty, cool, the kind of woman people remember. She arrives among the respectable citizens of Warboys like a cat among the pigeons. Before long she has insinuated herself into the affections of the sleepy Fenland village and into the heart of the ancient Throckmorton family, a family that harbours a dark secret. Nobody remembers another Agnes Samuel from long ago, a frightened girl betrayed by her wealthy neighbours and hanged as a witch. 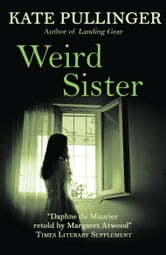 Weird Sister is a chilling tale of revenge across generations that will send shivers your spine.